Kerala, the Small Paradise of the Southern India. Region with the highest education rate of whole India, Kerala is a peaceful tropical gem in the giant and truly incredible India. The Continent of the 1000 faces, religions, cultures and traditions. It has so many reasons to attract visitors from all around the world. Visitors looking for more Nature, more quietness than the more bustling North. Or travellers on a Spiritual Path or a Healthy Quest. And for the Photography Lovers, Kerala photos are among the best travel photos of India, and not only for its beautiful landscapes. 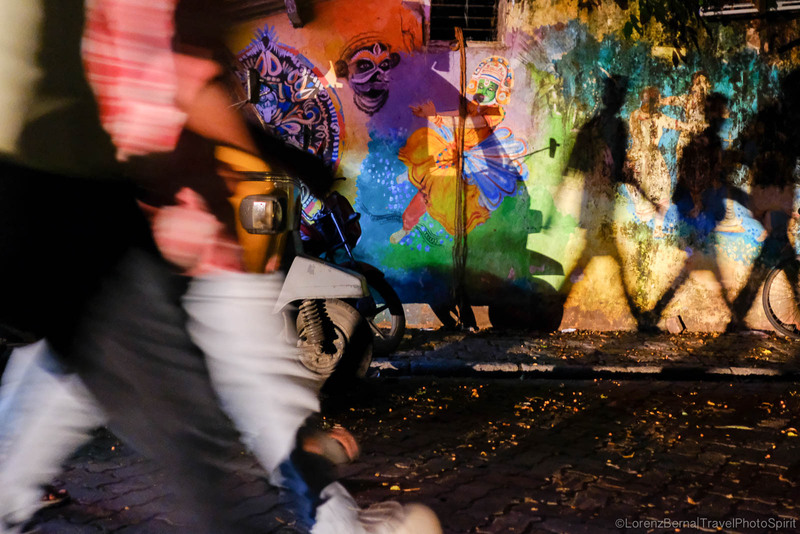 Being remained a more traditional region, the South is indeed a great spot for Portraits and Street Photography too. Clothes, works, ways of doing and old colonial houses from the Portuguese, make this region a great place for a timeless Travel Photography. 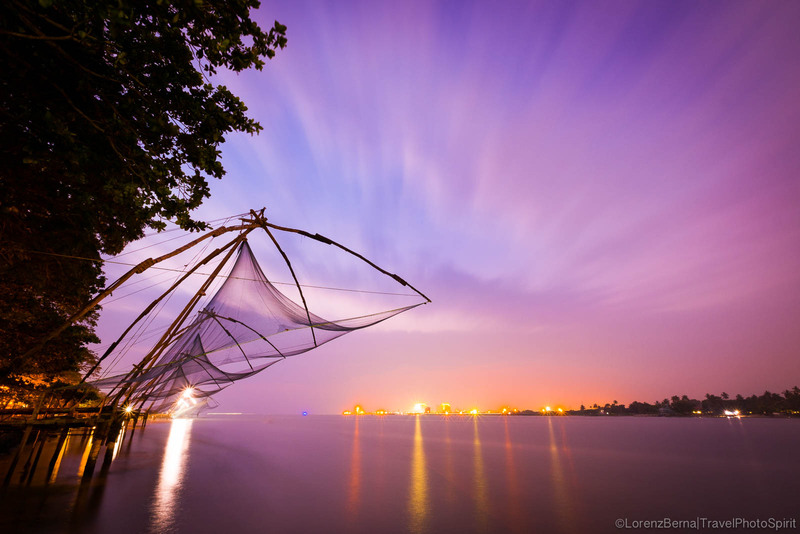 Chinese fishing nets in Kochi by sunset. 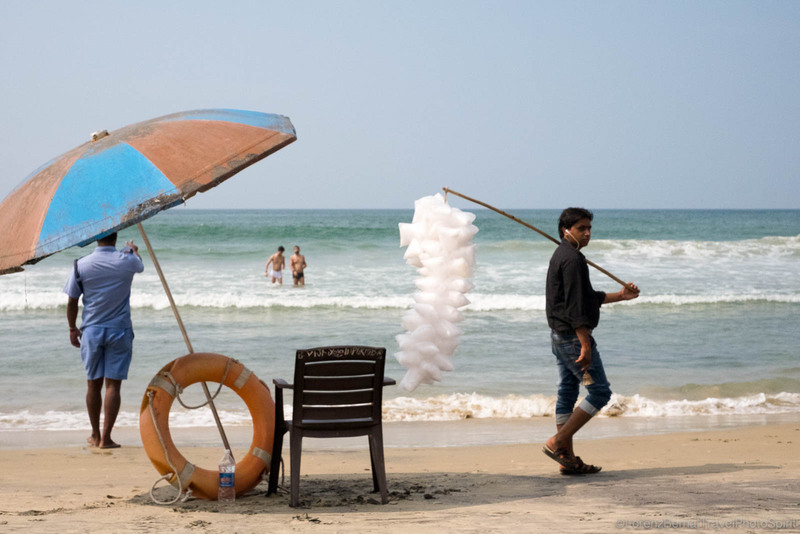 Scene of daily life on Kovalam beach. 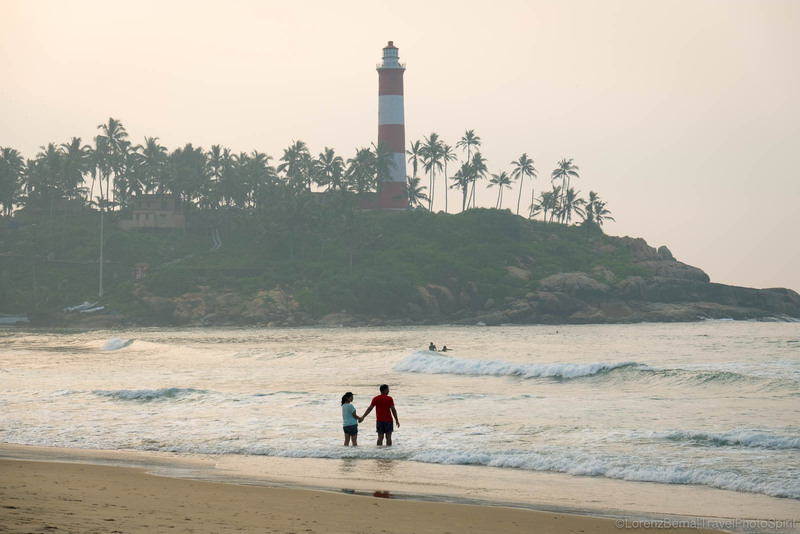 A couple on the beach of Kovalam is waiting for the sunrise. 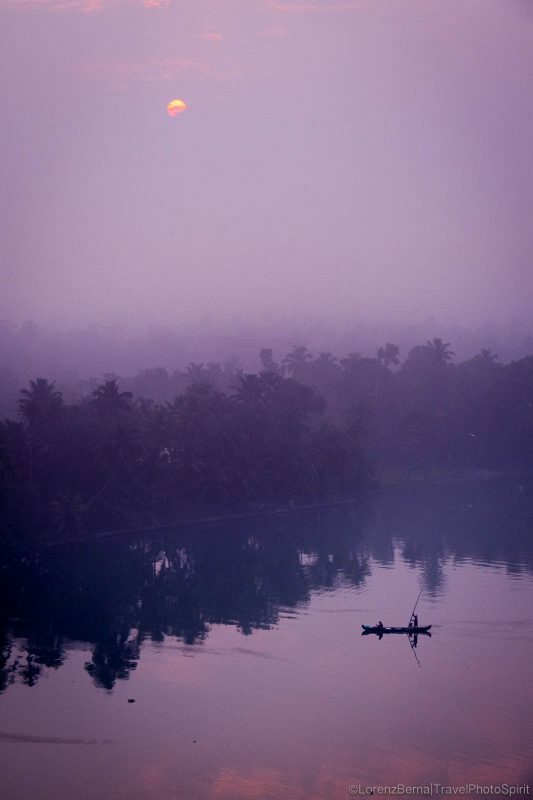 A canoe is crossing at sunrise one of the many water canals that form the backwaters in Kerala. 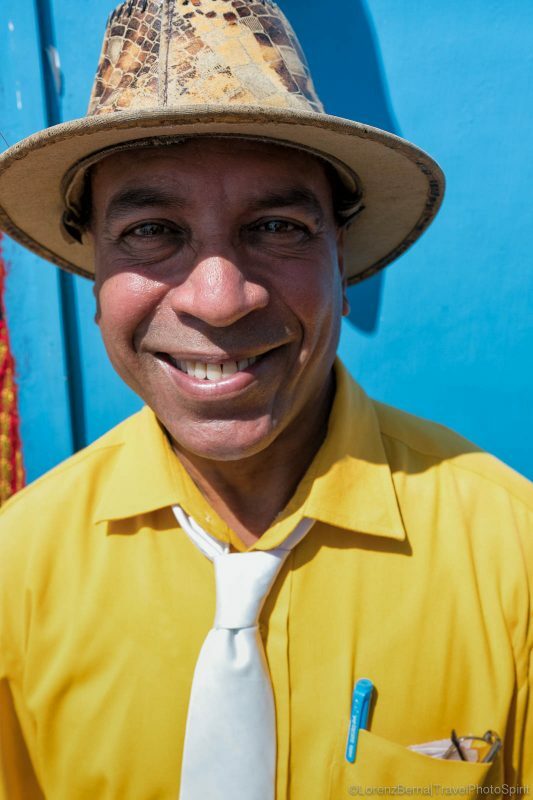 Colourful portrait of a local man manager of a restaurant in Kovalam. Local boy looking at the sea and the activity on the beach. 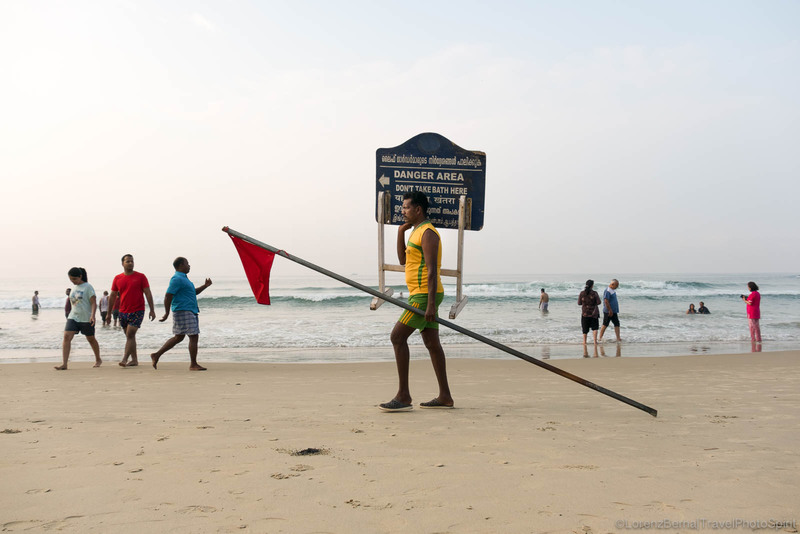 Early morning activity on Kovalam beach. 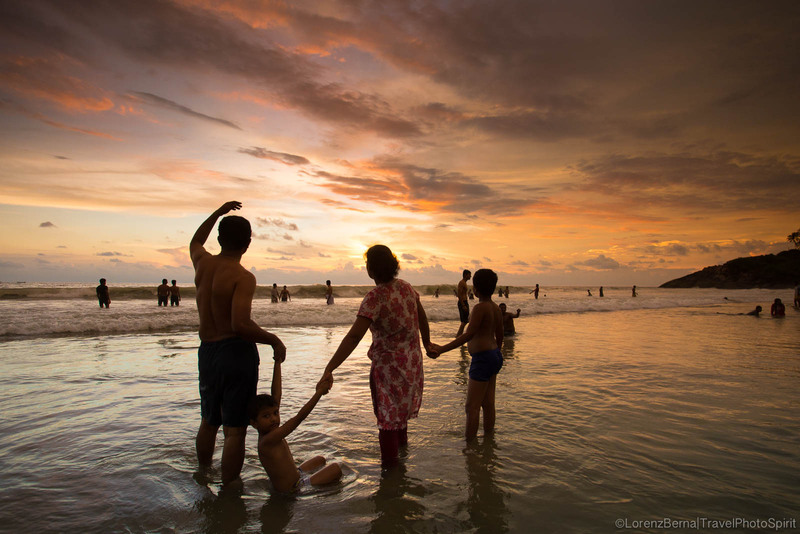 Family playing in the Ocean in front of the sunset. 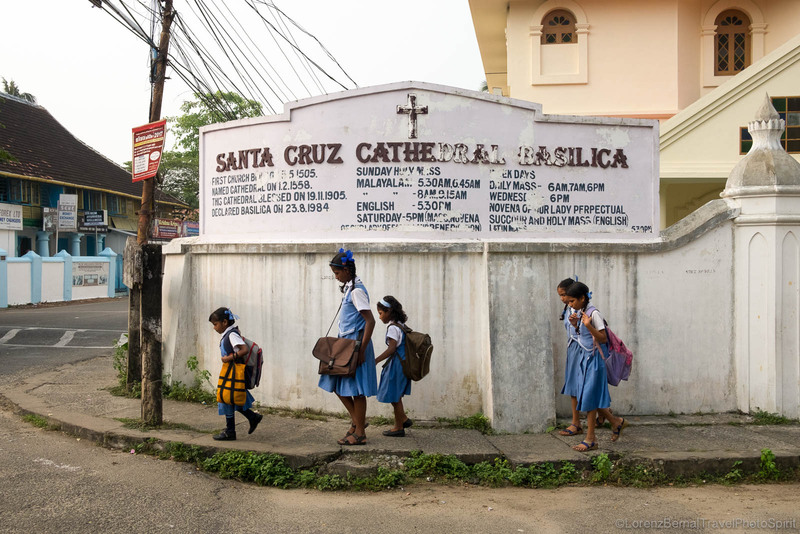 Group of children on their way to school in the Fort Kochi. 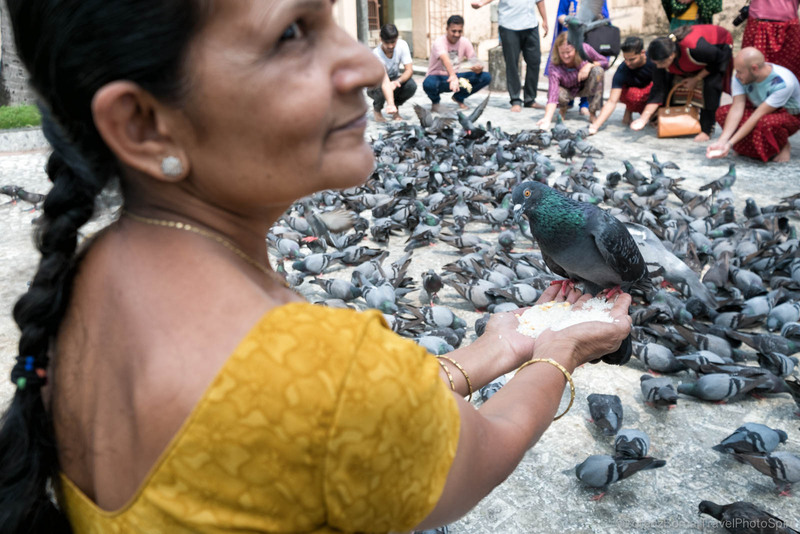 Woman feeding birds as a karma action, in the Jain Temple of Kochi. 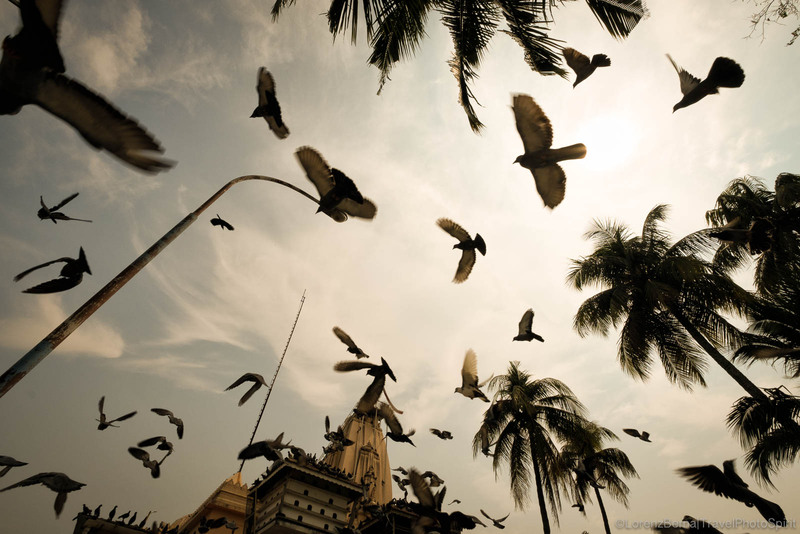 A group of pigeons are flying over the Jain Temple of Kochi during the famous pigeons feeding where hundreds of birds gather there to eat. 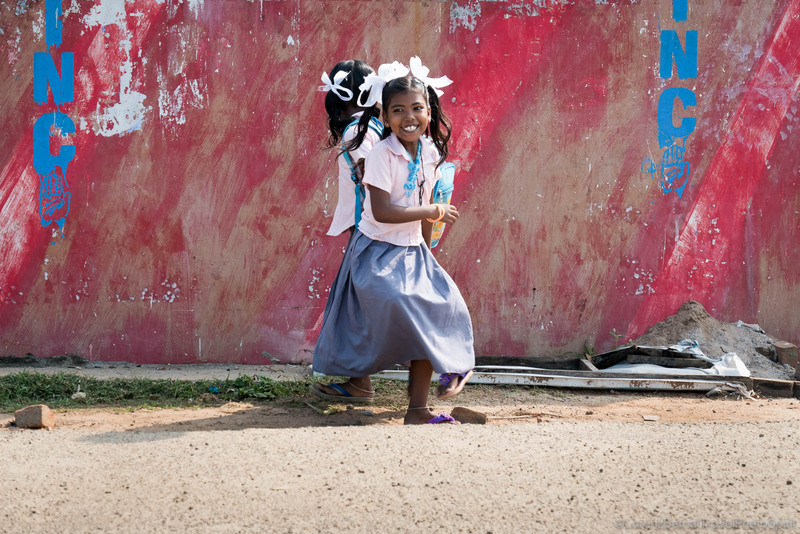 Young girls playing on their morning walk to school in Kochi. 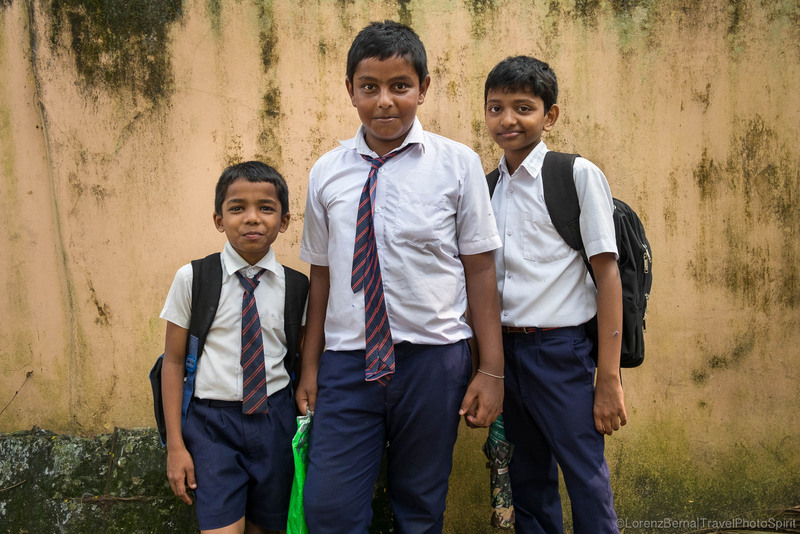 School boys in the streets of Kochi. 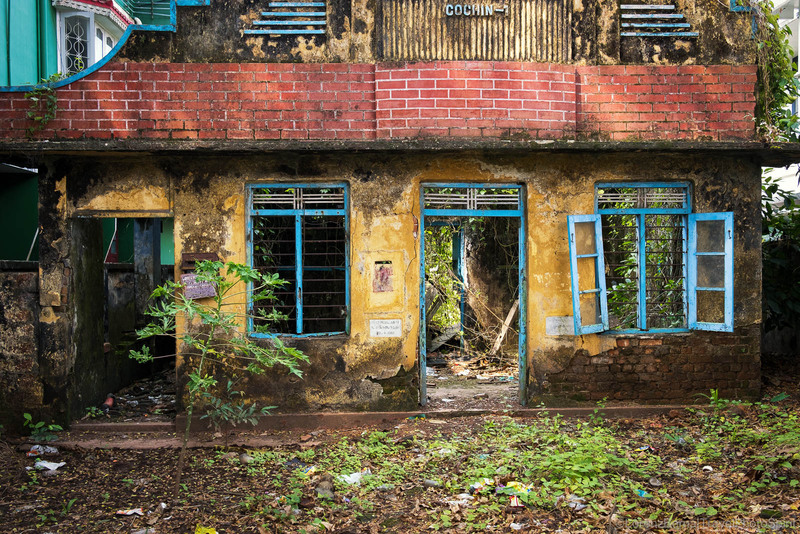 The vegetation is enveloping a colourful colonial house, abandoned, in the heart of Fort Kochi. 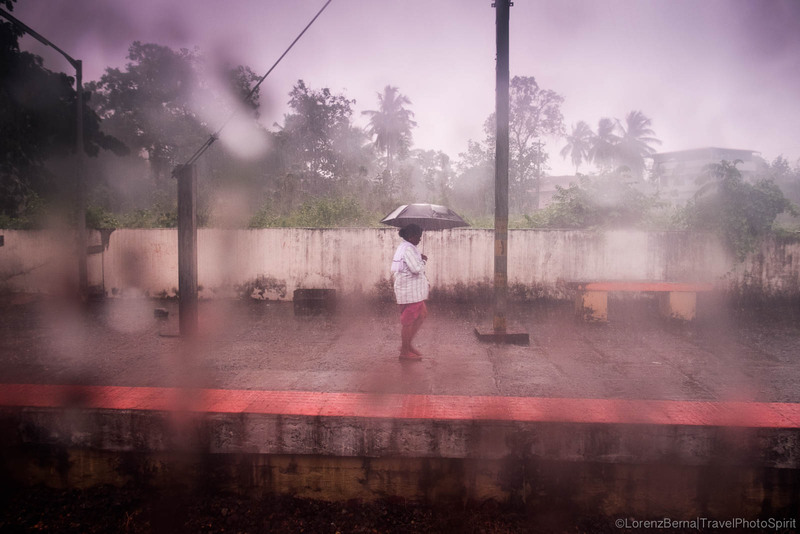 Street Photography under the monsoon rain, taken from the window seat of a train. 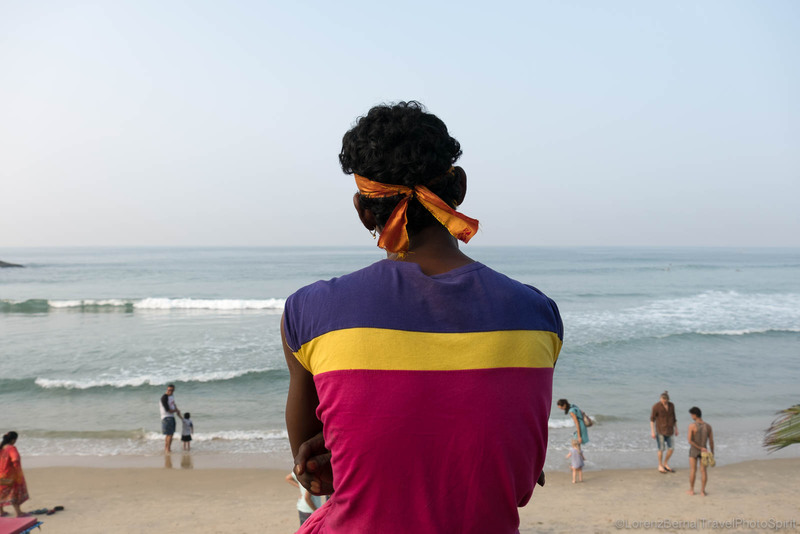 Young people protecting themselves from the sun in Kerala. 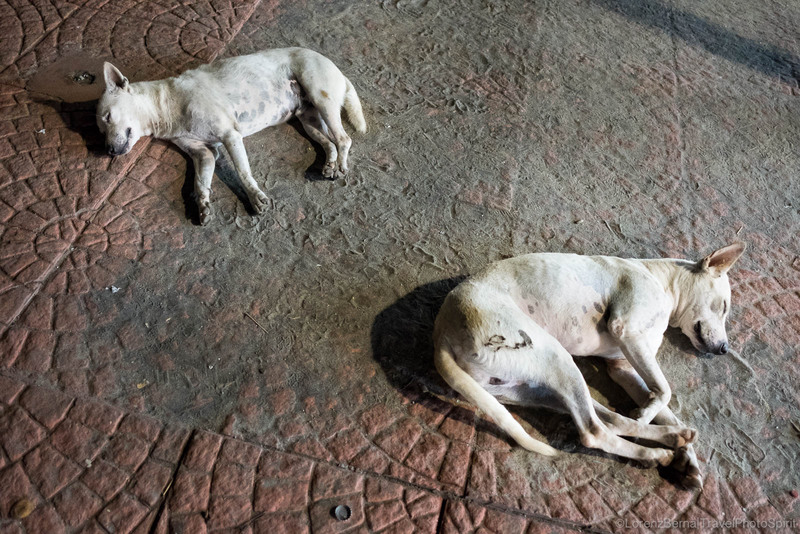 Days for the stray dogs : sleeping in the middle of the streets and walkways. 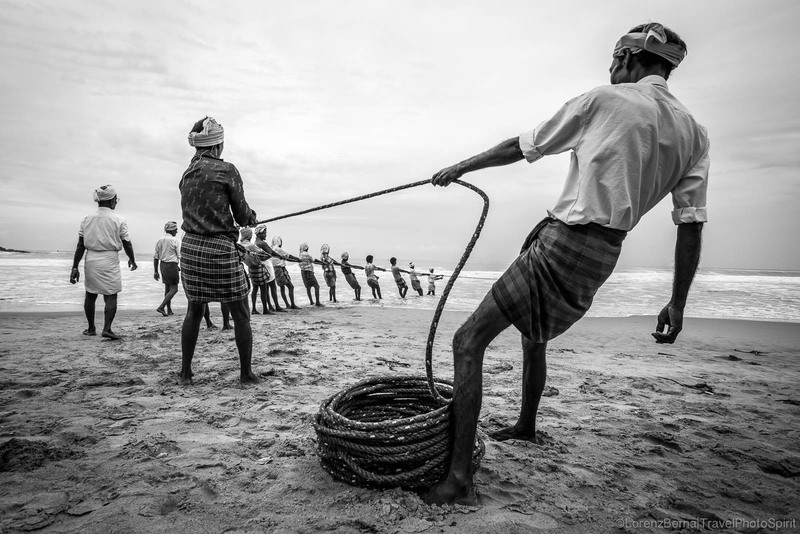 Team work for this group of fishermen pulling the fishing nets out of the sea, in Kovalam, Kerala.